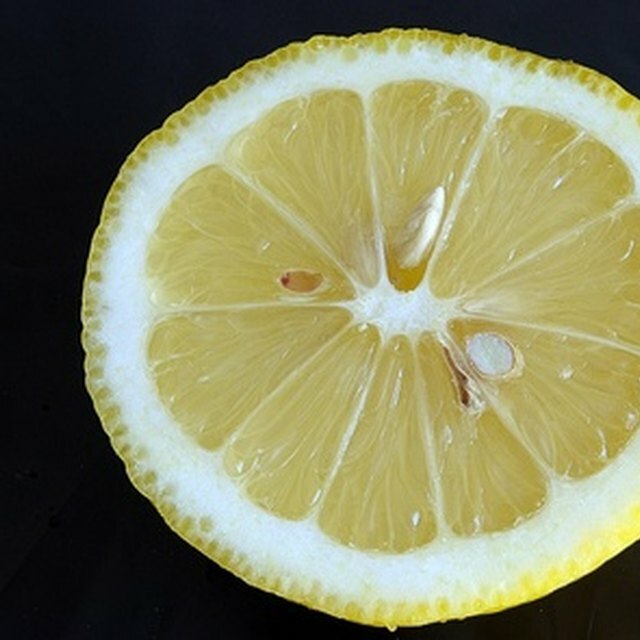 The isoelectric point (pl) is the pH (index of solution acidity) at which a molecule in solution has zero net charge. 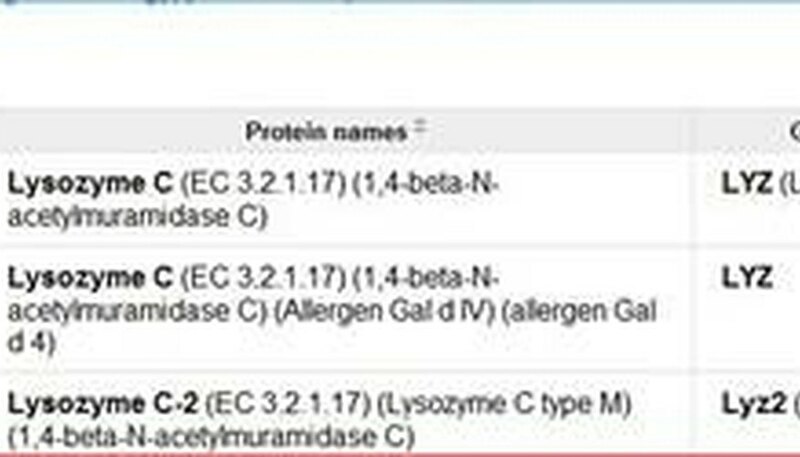 This value is particularly important in biochemistry as a fundamental characteristic of proteins. Proteins have a positive net charge at pH of solution below the isoelectric point; they are negatively charged if pH is above it. 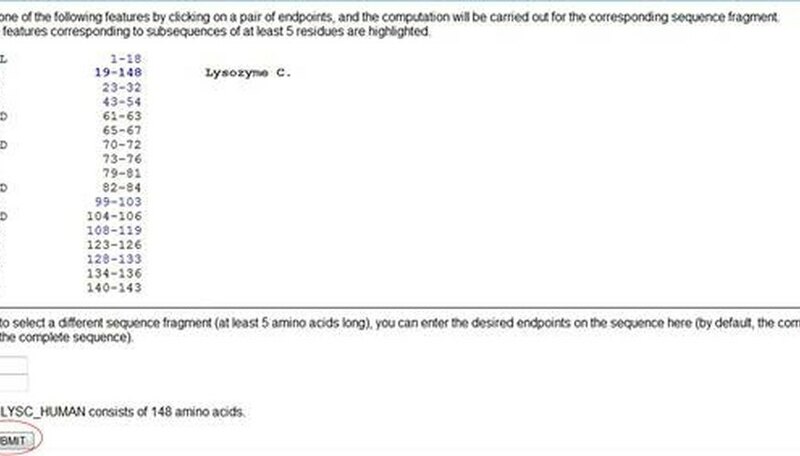 The isoelectric point is the function of amino acid composition of a protein. 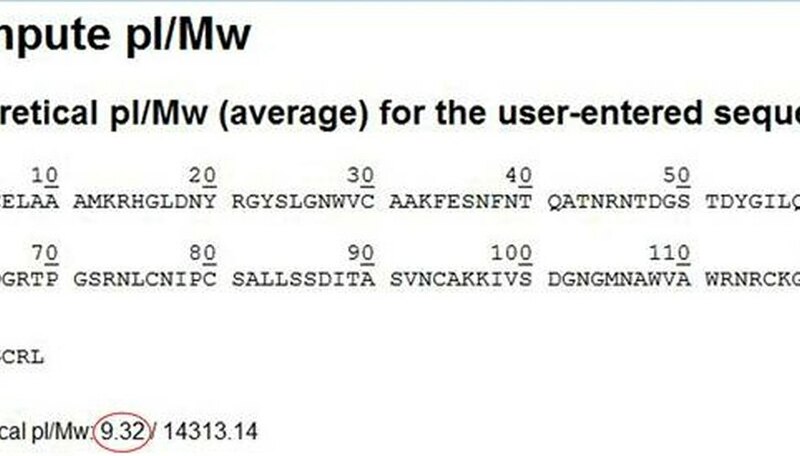 Therefore, the amino acid protein sequence is necessary for the pI calculation. 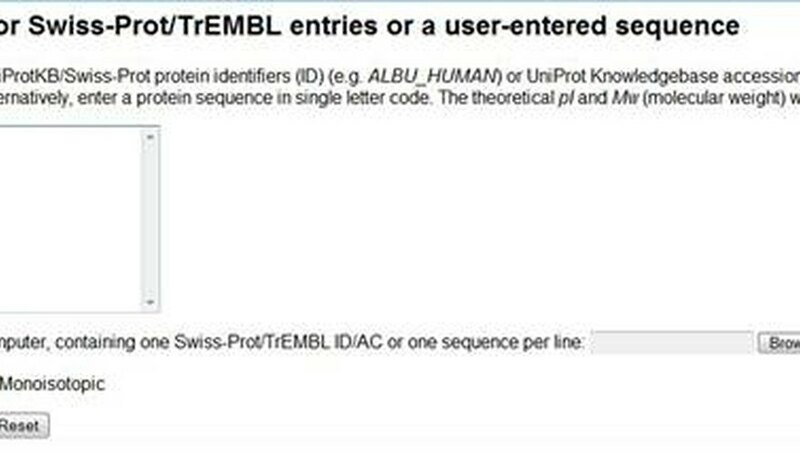 Decide how to obtain the protein sequence. If the sequence is already available, go directly to Section 2. 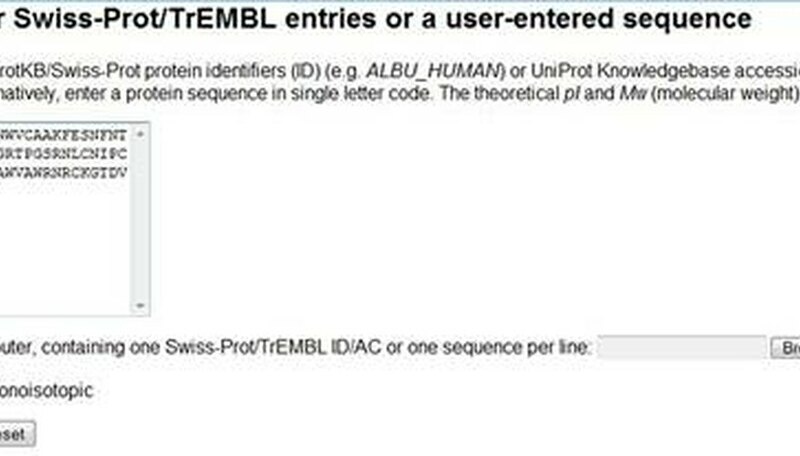 Otherwise, obtain it from the Universal Protein Resource database (see Resources). 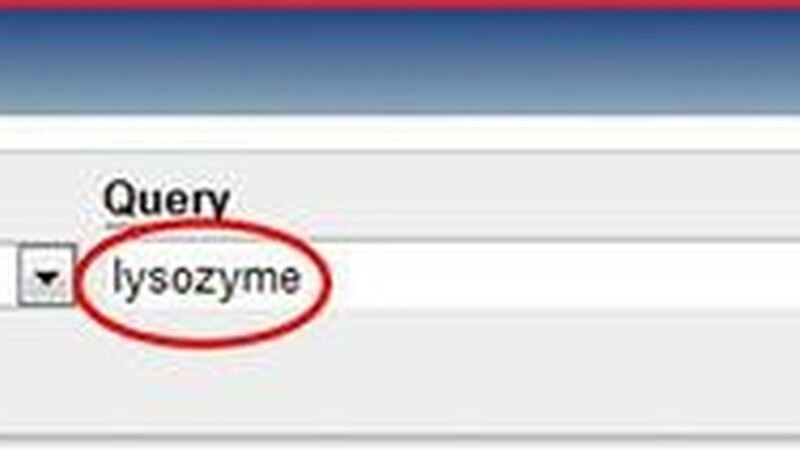 Enter a protein name as keywords in the query field and click "Search." Scroll down the search results and find an appropriate entry. Write down the database accession number. Navigate to the ExPASy Server Computing Tool (see Resources). Enter the database accession number from Step 4 in the field and "Click here to compute pI/Mw." Click "Submit" on the next screen. Read the isoelectric point (pI) value. If the sequence was already available, navigate to the ExPASy Server Computing Tool (see Resources). Enter the sequence manually in the field or copy and paste from a file. Click "Click here to compute pI/Mw." "Lehninger Principles of Biochemistry," D.L. Nelson and M.M. Cox, 2004. Contributor. "How to Calculate the Isoelectric Point." 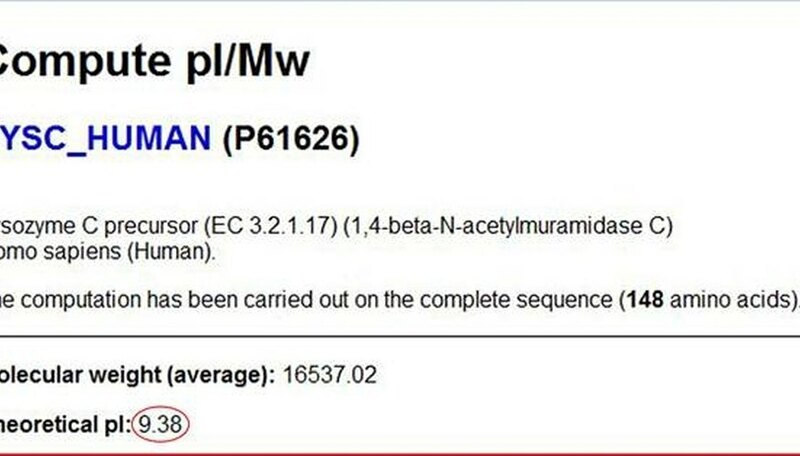 Sciencing, https://sciencing.com/calculate-isoelectric-point-5081940.html. 24 April 2017.